The rapid growth of LCC and Downtown Crossing perfectly complement Sonos as we continue our own period of rapid growth. In addition to its location in a transportation hub and amenity rich area, the building itself provides a robust infrastructure and ease of expansion. 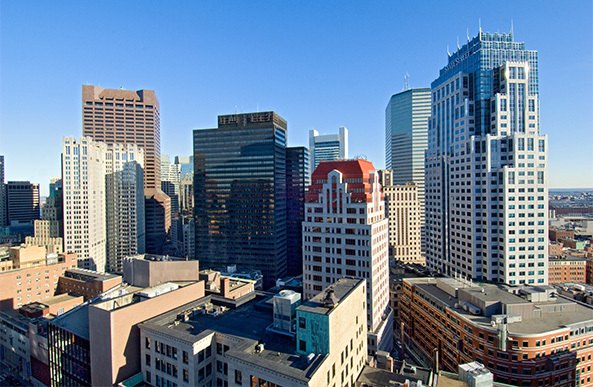 LCC and Downtown Crossing are jampacked with Boston’s hottest tech startups. It’s important to our culture to be surrounded by this fresh energy and ideas. People are calling this Innovation Crossing for a reason. The name stems from the expansion of the Innovation District across Fort Point Channel to the Downtown Crossing and South Station areas. LCC is a centrally located, urban location that’s easy for commuters. The proximity to public transit is huge for attracting employees. Downtown is the place to be. We’re in the middle of everything!